Christmas has arrived In Pulaski County USA! This weekend begins our Christmas Season in Pulaski County USA; November ends and Christmas beings! December is filled with fun Christmas events for the entire family, and this is my attempt to consolidate all of the events in one place! So grab your family, friends and Christmas Spirit and spread some Holiday Cheer this month! Laquey: The Buckhorn-Laquey Lions’ Club presents this year’s parade, “A Country Christmas” on Saturday, December 1st! Floats will line up at the Horse Arena (Hwy AA & P) at 10am and the parade will begin around 11am! Waynesville: If you love Christmas Stories, then you will love this year’s parade on Sunday, December 2nd! The Waynesville-St. Robert Lions’ Club Parade, themed “Christmas Stories” will start at the Middle School, “float” down Route 66, through the Downtown Square and into the Waynesville City Park. The fun begins at 2pm! Dixon: Enjoy watching this beautiful parade of lights or be part of it! Enter your dressed up doggie (under 15lbs) or decorated vehicles into the only night-time parade in the area by calling Brenda Bell 573-433-0954 for more information! The Parade is December 8th and will begin at the High School at 6pm (tentatively) and end at the Park! Stay tuned after the parade for a Christmas in the Park with Santa, music and a plethora of lights! The parade and Christmas in the Park are a combined effort of the Dixon Chamber of Commerce, the Dixon Lions Club and the City of Dixon as a thank you to their wonderful community! Richland: “Let Freedom Ring with the Bells of Christmas” is the theme for Richland’s Christmas parade this year! Don’t miss this patriotic holiday event on December 8th at 11am! The parade will begin at Shady Dell Park and end at the corner of North Pine and East Camden at the Richland Hardware Store. Gather the family and come on out! Check out the wonderful story by the Waynesville Daily Guide on how this event, to help Veterans, came to be! This will be the first time in history that eight Veteran Affairs Representatives will be in Pulaski County at the same time! Take advantage! Have a great time at these events and check back with us soon! 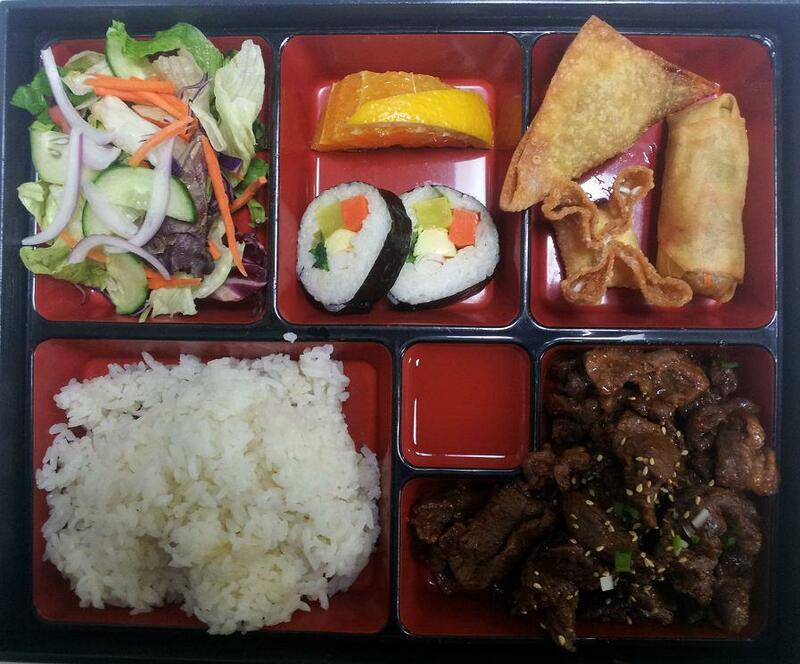 Cafe Korea – Authentic Korean Food in Pulaski County USA! Looking for authentic and great tasting Korean Food? Looking for a family-friendly place to hang out while you enjoy your meal? Have we got a place for you!! 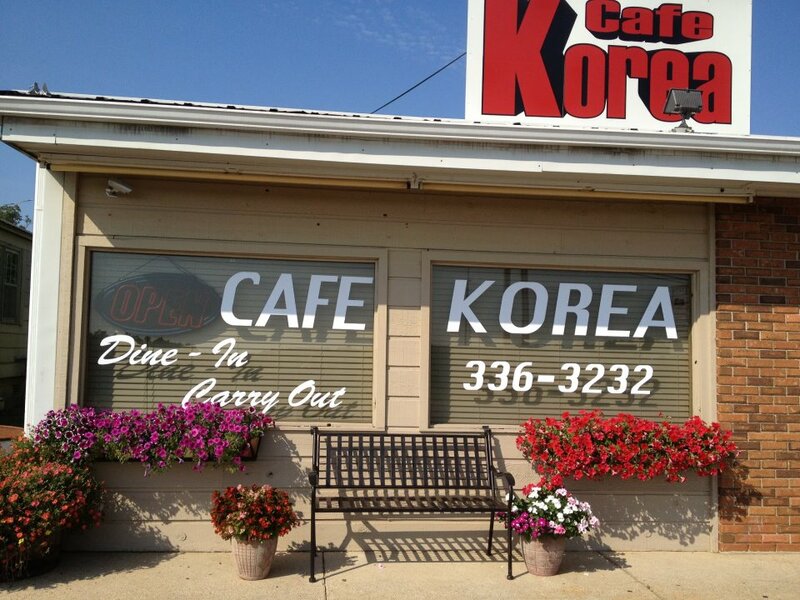 Café Korea in Saint Robert, MO not only has great food and a family friendly atmosphere; they offer free WiFi, FOX News during lunch, Pandora Internet radio during the afternoons and evenings and a movie on Friday nights! The owners John and Chong opened Café Korea in November of 2010 to fulfill Chong’s lifelong dream of owning a restaurant! They offer authentic Korean and some Chinese cuisine, so take a break from cooking and let them treat your taste buds! Veteran’s Day in Pulaski County USA! The Treaty of Versailles officially ended World War I or “The Great War” on June 28, 1919 even though the fighting had already ceased. Seven months earlier, an armistice, or temporary cessation of hostilities, went into effect on the eleventh hour of the eleventh day of the eleventh month. For that reason, November 11, 1918, is generally regarded as the end of “the war to end all wars,” but quickly became Armistice Day after a proclamation by President Woodrow Wilson in November of 1919. On May 13, 1938, an Act was approved that made November 11th a legal holiday dedicated to honoring Veterans of World War I. However on June 1, 1954, after World War II had required the greatest mobilization of troops and after American forces fought aggressions in Korea, the 83rd Congress amended the Act of 1938 by replacing “Armistice” with “Veterans”. On June 1, 1954, November 11th became a day to honor all American veterans. In an attempt to create three-day weekends for Federal Employees, the Uniform Holiday Bill was signed on June 28, 1968 to place four national holidays on Mondays: Washington’s Birthday, Memorial Day, Veteran’s Day, and Columbus Day. The first Veteran’s Day under the new law was observed with much confusion on October 25, 1971. Veterans Day was not only a day of celebration, but a historic remembrance of Armistice Day. On September 20th, 1975, President Gerald R. Ford signed a Public Law which returned the annual observance of Veteran’s Day to its original date of November 11, beginning in 1978. Veteran’s Day continues to be observed on November 11th, regardless of what day of the week on which it falls. The restoration of the observance of Veteran’s Day to November 11 not only preserves the historical significance of the date, but helps focus attention on the important purpose of Veteran’s Day: A celebration to honor America’s veterans for their patriotism, love of country, and willingness to serve and sacrifice for the common good. Here in Pulaski County USA every day is Veteran’s Day! We understand the importance of this holiday because we live side by side so many American Veterans. Friday begins a weekend of celebration in remembrance of all those who have and still do serve our country. Friday night, November 9th, Fort Leonard Wood is proud to host a FREE Veterans Appreciation Concert sponsored by Coca-cola, Texas Roadhouse, 107.9 and A1 Steak Sauce, featuring Candy Coburn an American country music artist. This concert will be held at Nutter Field House on Iowa Avenue in Fort Leonard Wood and is open to the public! Come on out, support your Veterans and enjoy a night of great music! Pulaski County USA’s most notable Veteran’s Day event is our Veteran’s Day Parade. This is our largest parade of the year with participants from all over the county, including service members and clubs from Fort Leonard Wood. The Patriot Guard, Shrine Club, Scouts Clubs and many more organizations participate in this celebration of honor. Come on down to Pulaski County USA on Sunday, November 11th for a Veteran’s Day ceremony beginning at 2pm, followed by the parade at 2:30pm, and enjoy a day of honor, remembrance and American Patriotism! 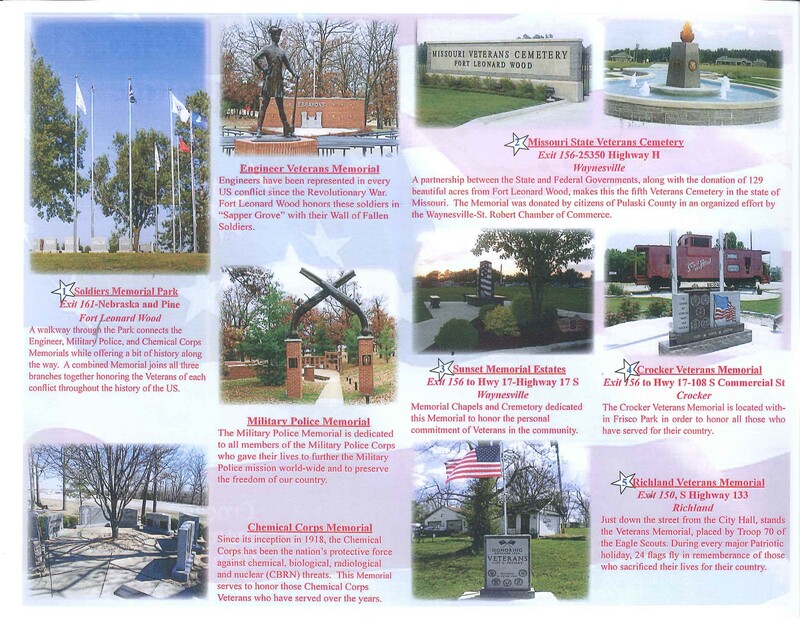 The Pulaski County Tourism Bureau is proud to announce the release of our new Veterans Memorial Tour Guide! Enjoy a scenic drive throughout Pulaski County USA and visit the many Veterans Memorials that have been erected in honor of our service members. You may download our tour as a PDF from our website or you may use the online map. We hope that you have a fun and safe holiday weekend and don’t forget to thank your Veterans! Have a great Veteran’s Day Weekend and don’t forget to Thank A Veteran! Vote Vino! Pulaski County’s Hometown Star! Pulaski County USA is proud to support Waynesville, MO native, Vino Alan, as a contestant on FOX’s “The X Factor” this year! He took the stage with confidence in Kansas City, MO on September 15th to prove to the judges that he indeed has the “X Factor” that will win him the five million dollar recording contract. Immediately judged by his tattoos and rough exterior, as soon as he opened his mouth and began singing “Trouble” by Ray LaMontagne, he had already won over the American public and the judges. Throughout The X Factor Bootcamp, Vino continued to WOW America with his unusually amazing sound; however, it was his emotional rendition of Pink’s “Sober” at LA Reid’s house that got him into the Top 16 and onto the Live shows. Vino has worked hard to get where he is now, but hasn’t forgot about the struggles that got him there. Working to support his fifteen year old son has been his main goal throughout this competition and you can feel that passion behind every song that he sings. If you love Vino Alan as much as we do, then tune in to The X Factor on FOX, Wednesdays and Thursdays to listen to his soulfully/passionate voice that has women proposing to him from all over the world! 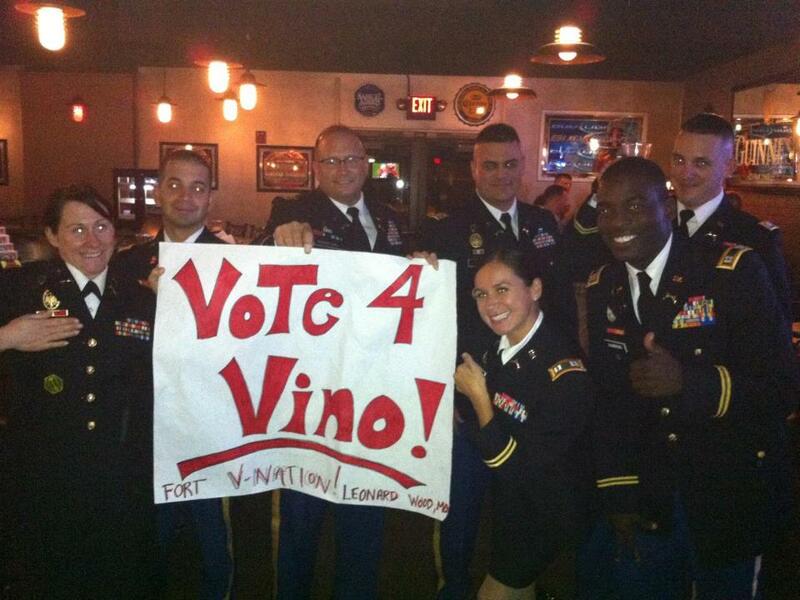 Help us spread the word for Vino by taking a photo with a “Vote for Vino” sign or record yourself voting! Send us your pictures or videos showing how you support Vino and we will feature them on our social media, or just post them directly to our Facebook and Twitter accounts! Oh and don’t forget…VOTE VINO! For more information on show times and local watch parties, click here! Click here for information on How to Vote on The X Factor!